Was this expected, considering Apple’s success in the iPhone and the iPad and its tight control on what goes into them? 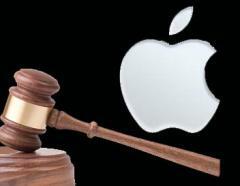 Apple may soon face antitrust probe from the Federal Trade Commission. It was reported that the feds were reportedly calling up many people including companies and developers to get their opinion regarding Apple products. Apple is also being scrutinized over its decision to block Flash and other cross-platform development tools from the App store while claiming to be providing the best experience for the customers. The feds and the Department of Justice are involved and are trying to decide which agency will lead the inquiry. All this is a result of increasing frustration in the market over Apple’s tight control on its approx 88 million iPhones and a million iPads. Apple had recently changed its iPhone developers agreement to prohibit the use of cross-platform development tools such as Flash. This prevents an app developer from making one universal platform that would work on any phone and the iPhone’s popularity could make the developers not wanting to work on other platforms and the feds are looking if this behavior is anticompetitive. Interestingly it was reported that Apple’s CEO Steve Jobs had released a letter explaining why Flash was not allowed on the iPhone and many see this as an early defense to the possible antitrust probe. Steve Jobs claims that when a third party tool like Flash comes into picture, the app quality goes down and Apple would not be able to provide new features to developers. An antitrust inquiry will be a major blow for Apple who is reported to be already working on making changes to the developers agreement in order to stop the probe. The probe will end up in a lawsuit which Apple desperately needs to avoid. It was also reported that the Feds were eyeing Apple’s iAd, the mobile advertising platform. Apple’s recent misadventures with the website Gizmodo and the seizure of Gizmodo editor’s computers and servers has brought Apple uneeded attention both from its fans and the feds. Now can Apple dodge the antitrust bullet? I like to see an antitrust probe atleast for the flash to work on the iphones. Finally! i love apple but hate it for its control on its products!